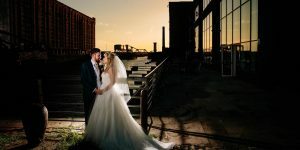 Situated in the Liverpool Docklands world heritage site, The Rum Warehouse offers a spacious and awe inspiring licensed venue for weddings, civil ceremonies and partnerships. The grade II listed building is steeped in history and following a major refurbishment is now the site of The Titanic Hotel and adjoining Rum Warehouse. Original features such as exposed brickwork, iron beams and columns have been preserved alongside warm and stylish furnishings. 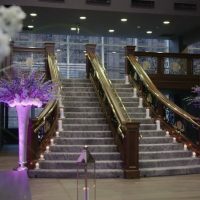 With catering and bar facilities on site and the magnificent Titanic Hotel next door, this truly is a memorable setting for celebrations of all sizes. 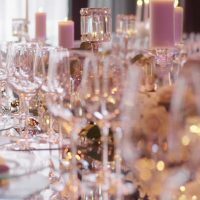 Providing space for up to 500 banqueting guests the ground floor is large enough to hold the most magnificent celebrations. Minimalist, industrial neutral décor offers a blank canvas for your imagination to run riot. 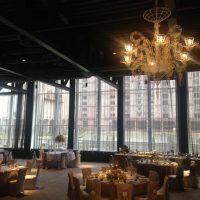 Floor to ceiling windows look out over the docks and flood the space with natural light. 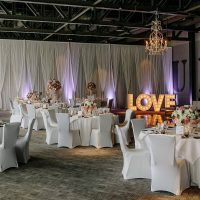 The Rum Warehouse is a large capacity venue with minimums of 100 day guests or 180 evening guests. Offering a wide range of treatments and therapies. Relax after the excitement of the big day in the Roman bath-style pool or alternatively, you can work out pre-wedding nerves in the gym. Reminiscent of Venice the cavernous and atmospherically lit setting features exposed brick arches and stone floors. The thermal suite is fully equipped with hydrotherapy pool, steam room, sauna and sanarium. To fully enjoy the Rum Warehouse experience, extend your stay in one of the 153 stylish and uniquely spacious rooms. Warm earthy tones accentuate the original features such as exposed brickwork, original windows, iron beams and columns. It’s the small luxurious touches such as the drench showers, complimentary toiletries and quirky industrial furniture that make your experience memorable.